Countdown to Yuri’s Night is this Saturday, April 10th. They sold out last year, and tickets are selling quick. 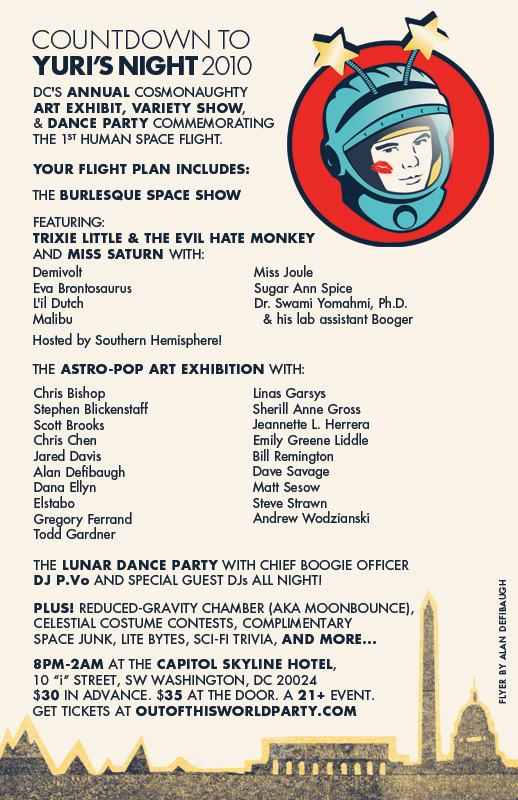 Go to outofthisworldparty.com for tickets and more information! 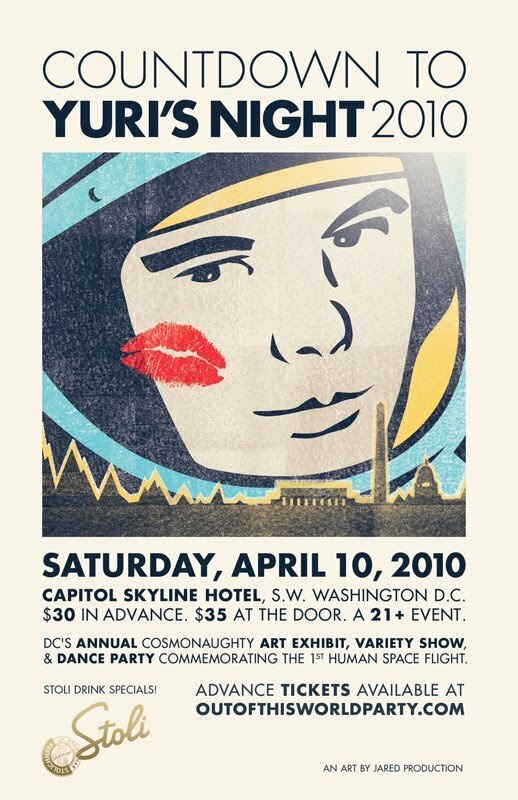 Countdown to Yuri’s Night, an out of this world art extravaganza that combines visual art, performance, and music to commemorate the first human space flight, is back for a third year. Tickets are $30 in advance ($35 at the door). Visit www.outofthisworldparty.com for tickets, artist links, and event announcements. • Dr. Swami YoMahmi, Ph.D., a regular traveler in the D.C. sideshow universe, ably assisted by his lab assistant Booger; and Demivolt, a Washington‐based post‐punk/rock/surf band that will provide the musical backdrop for the show. In an “Astro‐Pop” art exhibition organized by artists Scott G. Brooks and Jared Davis, approximately 20 visual artists will exhibit work that celebrates, reflects, and imagines space, from hard‐core science to the lowbrow culture. …The show brings together Pop-Surrealism, Post-Pop and Lowbrow stylists who “frequently and freely embrace the imagery of science fiction and mid-century tropes,” according to Countdown lead organizer Jared Davis. 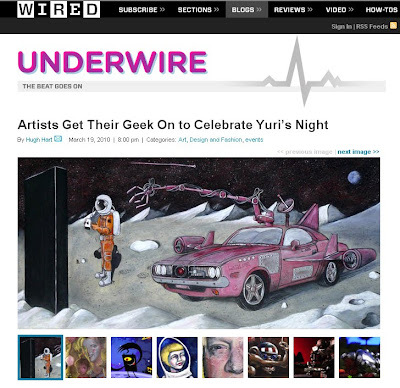 “Countdown to Yuri’s Night is an excellent excuse to feature their more sci-fi inspired work. I’ll be exhibiting “Battle for Thorazine.” Go here to see the rest of the art. Get in touch with me or DFMPR@aol.com if you’re interested in purchasing any of the art. Finally, here’s the postcard designed by Alan Defibaugh!